VAN BUREN, Martin (1782-1862). 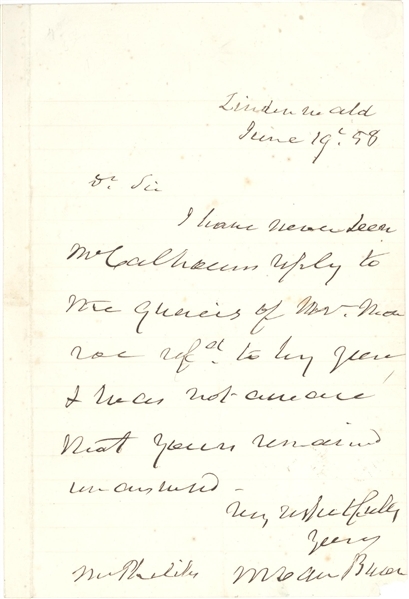 Autograph letter signed ("M. Van Buren"), to Mr. McPhilily(?). Lindenwald, 19 June 1858. 1 page, 8vo, some light spotting or creasing, left margin reinforced, pinholes upper right corner, small tear to lower left corner with small loss. 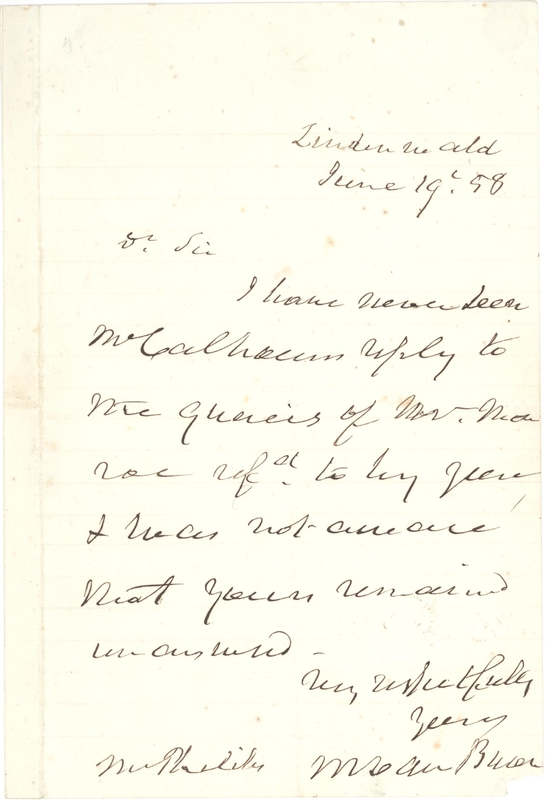 Van Buren mentions that he has not seen John C. Calhoun's replies to James Monroe's inquiries, in full: "I have never seen Mr. Calhoun's reply to the queries of Mr. Monroe refd. to by you & was not aware that yours remained unanswered." John C. Calhoun served as James Monroe's Secretary of war from 1817 tho 1825, and as Andrew Jackson's Vice President. 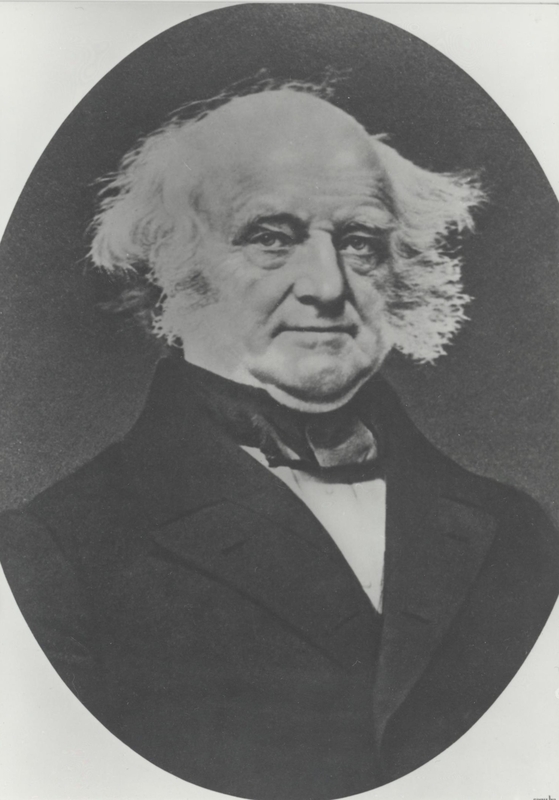 After falling out of favor with Jackson, Calhoun resigned as Vice President to return to the Senate, allowing Martin Van Buren to replace him as Jackson's running mate as Vice President in the 1832 election.